Bedroom 1 - King size bed and ample furniture. Bedroom 2 - King size bed and ample furniture. Bedroom 3 - King size bed and ample furniture Bedroom 4 - Queen size bed ample furniture 5 – Queen size bed with ample furniture. All with LCD TV and DVD player. 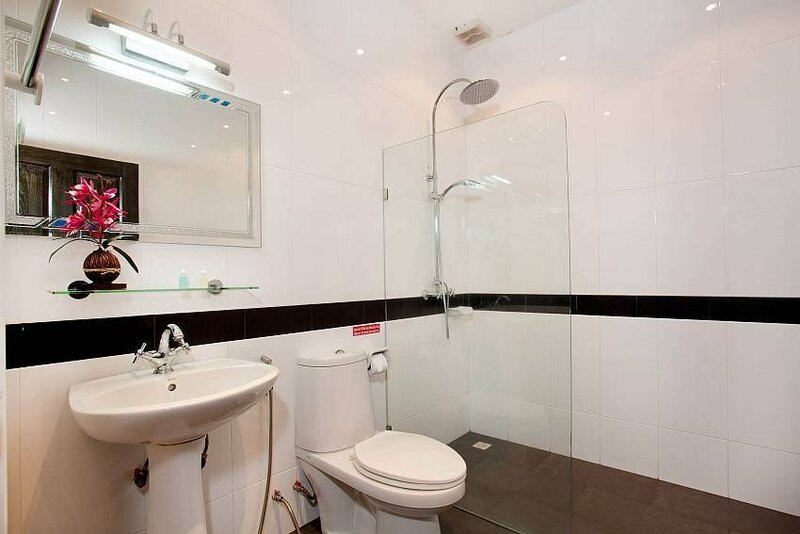 All are on-suite with shower, WC and washbasin. Bathroom 3 has double access from the living area. Fully fitted, white granite worktops, appliances including washing machine, fridge/freezer, microwave, oven, hob, dishwasher and extractor, rice cooker, even a fitted safe. In-fact, everything you need to test your culinary skills. Don’t want to cook then use our cook and enjoy some exotic Thai cooking. The living area is spacious and furnished in a beautiful contemporary style and equipped with a satellite or cable receiver, a widescreen TV and DVD player with surround sound system. It opens into a dining area with a ten seat dining suite for that home Banquet!